Portable speakers are starting to become reliable and quality audio devices than what it use to be. Just look at Jawbone and Logitech, they're doing a pretty good job. 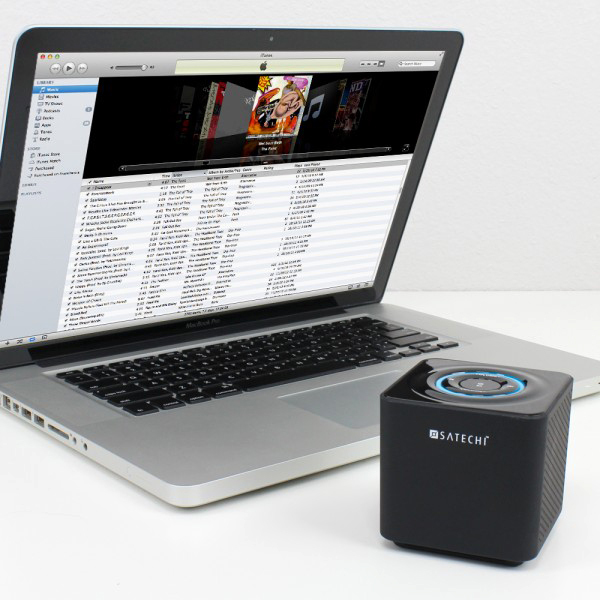 Satechi wants a piece of the cake too as they out their newly redesigned Audio Cube that's just as the name suggests. It's a cube. It plays music. Dressed in a rubberized casing with a shiny gloss panel on top, the Audio Cube is as simple as portable Bluetooth speakers get. While these are in no way meant to be your daily audio speakers for high quality sound, they are definitely nice to have in your bag or backpack as a portable speaker. It's Bluetooth capability is a plus too. You can pick one of these up on Amazon at a nice and smooth $49.99.